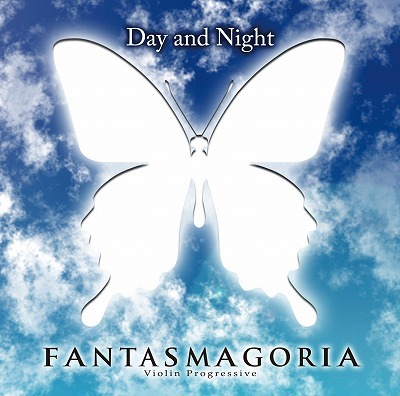 Review: "Fantasmagoria: Day and Night" - Sea of Tranquility - The Web Destination for Progressive Music! More than one band go by the name Fantasmagoria but this particular outfit are a led by Japanese female violinist Miki Fujimoto. Formed in 2004 they appeared at Mexico's Baja Prog festival the following year and Day and Night is issued worldwide by French label Musea. The band are a quintet and joining Miki are fellow Japanese musicians guitarist Junpei Ozaki with Ryuichi Odani supplying the keyboards and the rhythm section comprising of bassist Naoki Kitao and drummer Masataka Suwa. Influences are said to include Curved Air and King Crimson with the band aiming to be a combination of jazz-rock fusion and symphonic music. An entirely instrumental effort the tracks on Day and Night follow a similar formula with Ozaki supplying driving riffs that on occasions become more heavy and metallic ('M.N.K' and 'Anticlimax') and the melody driven along for the most part by Fujimoto's signature violin sound which is further highlighted by some wandering arrangements. There is a medieval / renaissance flavour to the overall sound for which a couple of prime examples are by the use of the harpsichord during the intro to opening number 'Crusader' and the church organ samples interjected into the closing track 'Epic'. The tempo is for the most part upbeat and vibrant with plenty of energetic soloing and interplay between guitar and violin. Top notch musicianship and sparkling originality combine to make Fantasmagoria a welcome addition to the progressive scene.